Matt Christoffer lead the Varsity Boys with a 1st place overall finish in a time of 16:39. That's only 17 seconds behind Garrett Shadwick's all-time school record. 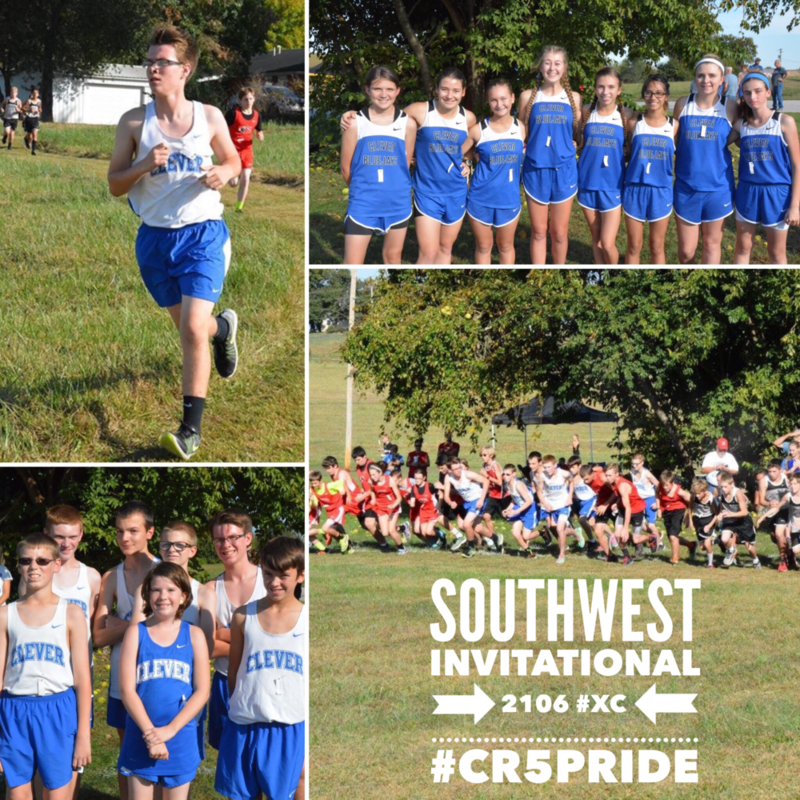 Mark Christoffer PR'd with a time of 17:44, Austin Garrett PR'd with a time of 18:16, Derek Sopok PR'd with a time of 18:14, Jace Griswold PR'd with a time of 19:02, and Steven Coonce PR'd with a time of 19:24. The Boys came in Second place overall and all 8 runners had a time below 20 minutes. The girls were led by Brooke Hoeft who finished 2nd with a time of 21:09. She shaved 1 minute and 13 seconds off her previous best and is now our second fasted girl ever behind Kelli McNabb's record of 20:27. Grace Gundelfinger PR'd with a time of 22:18 taking almost a full minute off her previous best. Ashley Pearce PR'd with a 22:31, Madi Wilson PR'd with a 22:37 putting her on the top ten board, Abby Whiteman and Emma Nvrkal both shaved 3 minutes or more off their best. The Girls came in first place overall and this is their 3rd first place win this season. Jr High Boys were led by Kaedon Broome who finished first place in his race with a time of 9:03, almost a minute better than his previous best. Jr High Girls were led by Brooklyn Carvahal who finished 3rd overall with a time of 11:53 which is also a PR for her. I'm really excited for these runners who have all been working very hard all season.